Édgar Jiménez was born in 1995 in Monterrey, México. 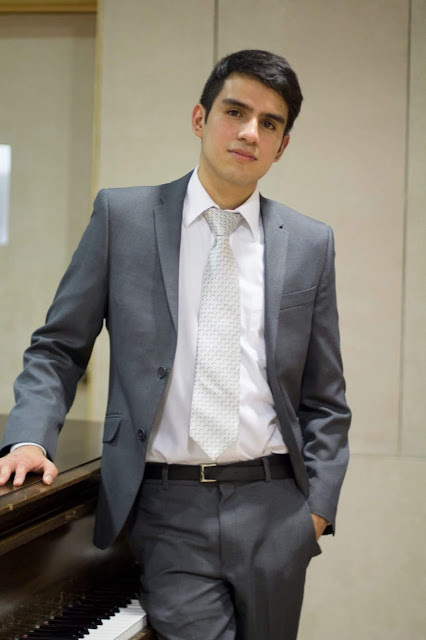 He started studying piano at Facultad de Música from UANL, in Monterrey, México, in 2012, with pianist Beania Salcedo. Since 2014 he's studying with Dr. Antonina Dragan within the same school. He has participated in the "Pianistas Virtuosos" competition since 2013 edition, winning second place in 2014, third place in 2015, and first place in 2016 and 2017. He has taken masterclasses with Antonio Manzo, Eduardo Orozco, Héctor Rojas, Leonel Morales and Vitaly Pisarenko. In 2016, he participated in Festival Internacional & Masterclass de Piano Monterrey.